On Thursday, October 18th, I had the pleasure of seeing two amazing bands at The Way Station. 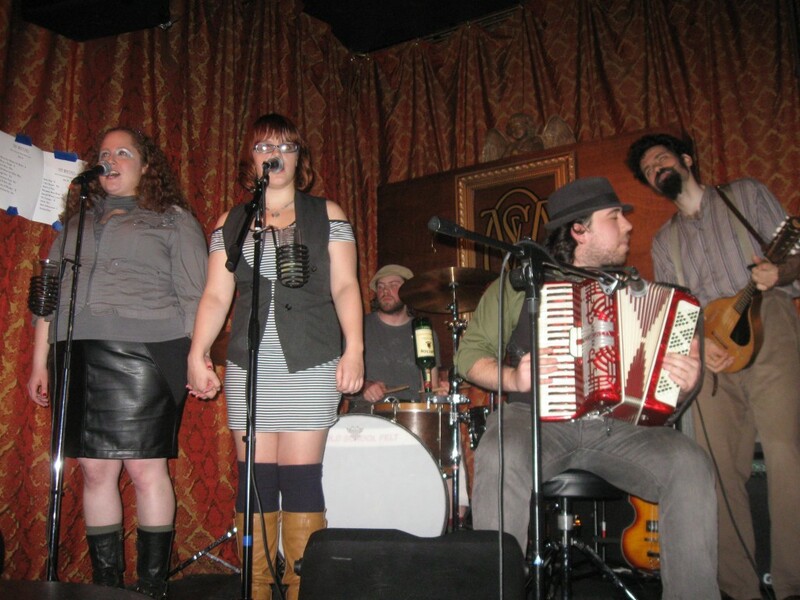 The Way Station is a steam punk and Doctor Who themed bar located in Brooklyn, NY that features tons of awesome live music. 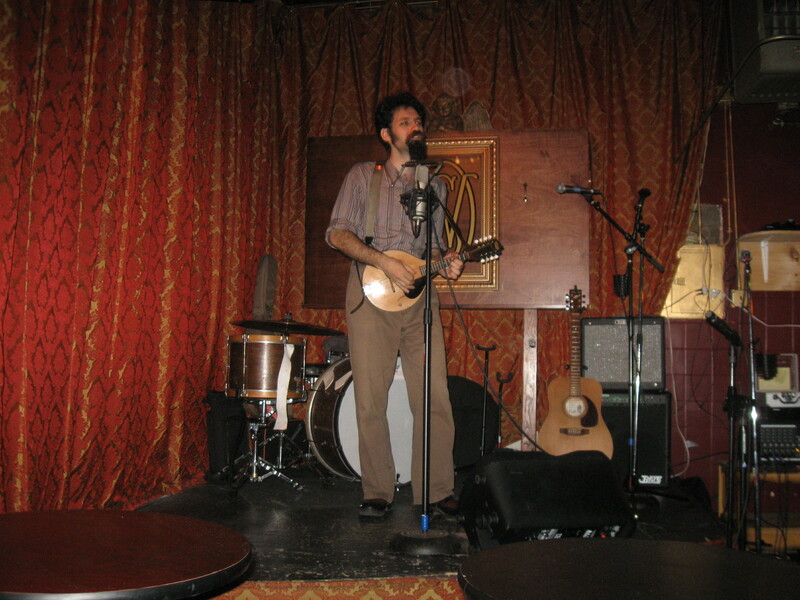 The first performance was by Painless Parker, a solo artist named Noam Berg who played acoustic mandolin and guitar and sang with a folk rock voice. From his clothes you could see that he belonged in a steam punk inspired bar, he certainly dressed the part. One of my favorite songs was an original called “Damn Right the Working Class.” He had a ton of energy and was easily able to get the crowd clapping, stomping, and singing along. I also adored his very brogue filled cover of “When I Come Around” by Green Day. The second performance of the evening was by The Waysties. This band is comprised of Sarah Bisman and Molly Hebert-Wilson on vocals, Noam Berg on mandolin, Alex Bell on Drums, and Robare James Pruyn-Bush on guitar and vocals as well. All things awesome and Celtic, they were over charged with energy and ready to rock your face off. They had the crowd going right from the beginning. One of the highlights was their cover of “Salty Dog” by Flogging Molly which they played in the second half of their performance. The band also did an amazing rendition of “A Cautionary Tale” by The Decemberists. These are two bands that are definitely worth checking out. Their high energy kept the crowd involved and entertained. They are a lot of fun, so go out and see them when you can. If you’d like to find Painless Parker on Facebook go here and his website is here. If you’d like to find The Waysties on Facebook go here. For more information on The Way Station go to their website here. events, tours / live shows. Bookmark.